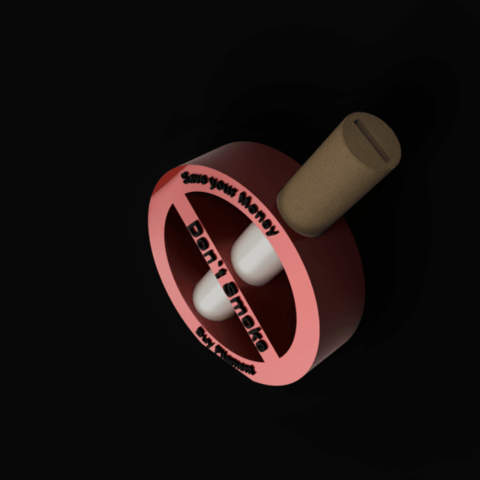 i designed a motivation cigarette money box for stop smoking. 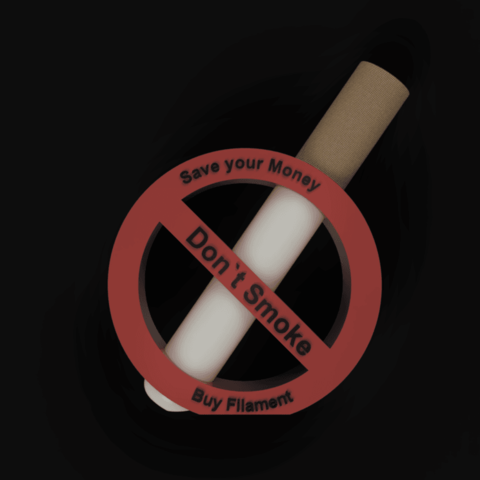 You can motivate yourself to buy filament or other stuff for 3d printing. This model is split in 3 parts. The forbidden sign serves as a stand. The cigarette you can push into the sign.